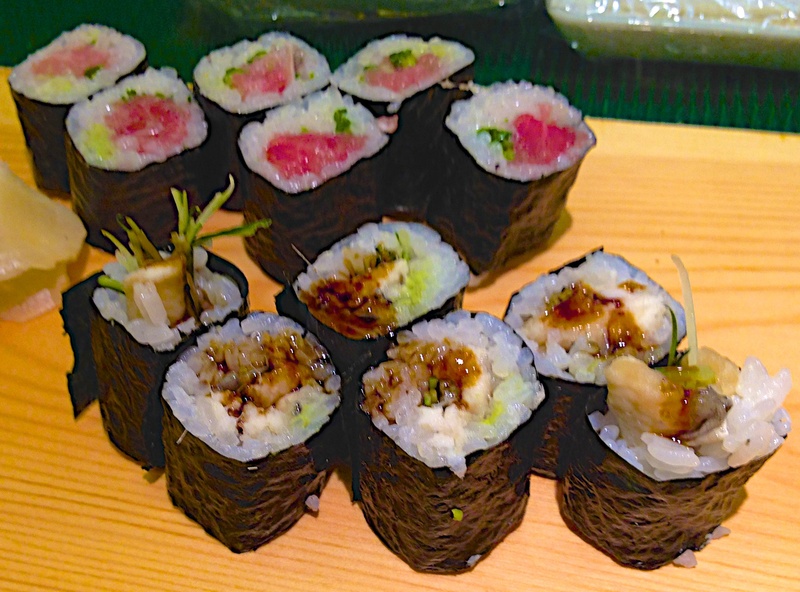 The sushi bars that surround the market are the epicenter of sushi culture. The lines for the best ones start at 5am when they start serving. They usually close around 12. The restaurants outside the market can stay open for twenty four hours. 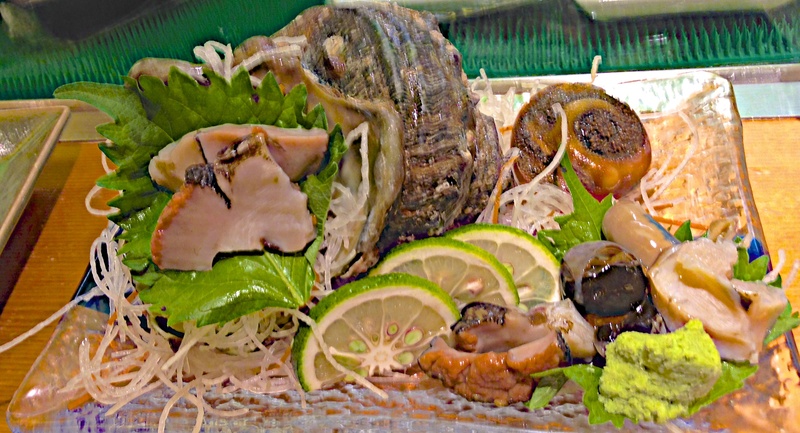 The sushi restaurants are small, crowded and sometimes the chefs take something right out of the tank in front of you and prepare it. I think it was still moving. o-toro (fattiest of the fatty tuna) was the best tuna I’ve ever had. The whole piece melts in your mouth. You don’t even need to chew. 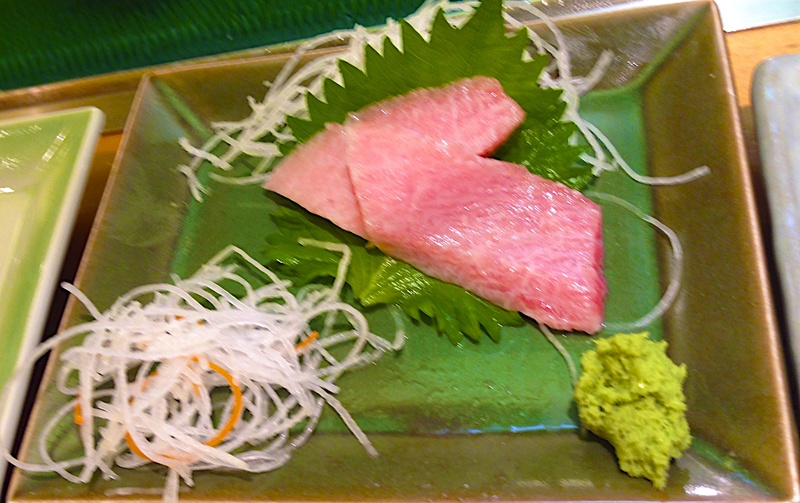 It tasted fresh and rich in flavor with gorgeous color and marbling. I’ve never had uni that was this amazing. I’ve never even liked uni before. 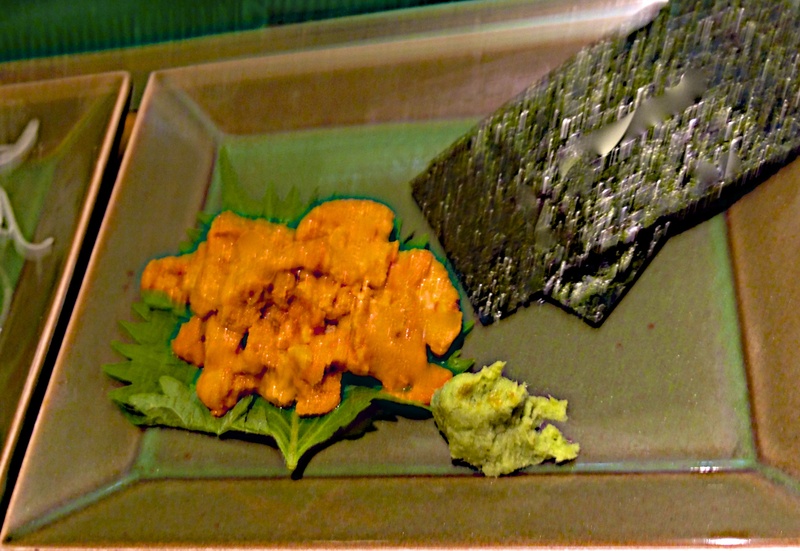 Sea urchin at a lesser degree of freshness tends to be overly mushy, taste a bit rank and looks like it’s covered in a sort of mucus. This was the best I’ve ever tasted. It is always hard to start eating sushi again after leaving Japan. 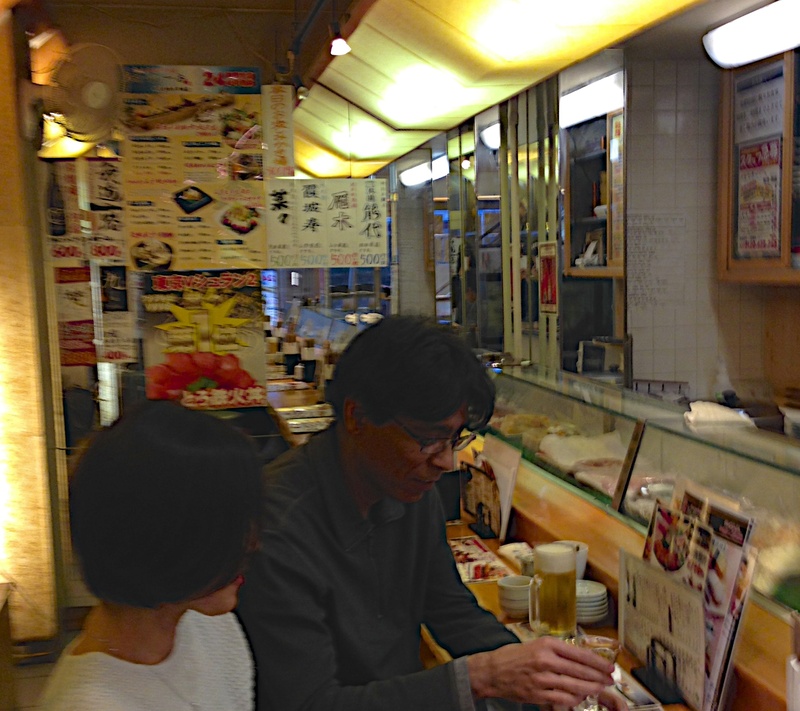 Thanks for a memorable lunch Hiro. Tokyo Narita airport is so far away from Tokyo, the word Tokyo should have been left out. There are a lot of rules to wearing a kimono correctly. Most modern women have not gone to kimono school so they go to the hairdresser to have them tied correctly and have their hair done traditionally. I did notice free kimono lessons in the airport in Tokyo. If you squeeze a lemon and put a slice of lemon in your sake, it cuts the hangover time in half. Japanese toilets do everything automatically except actually extract the waste products from your body,. The seats open. They self clean and can play several songs while doing it. There are actually clean bathrooms in train stations. Be careful pushing buttons if you don’t know what they are. The Japanese have the same Kanto – Kansai (east – west) competition going that LA and NY has. Tokyo is East and Kyoto, Osaka, and Kobe are west. It is is also carried on very politely so it takes a minute to realize they are insulting each other. 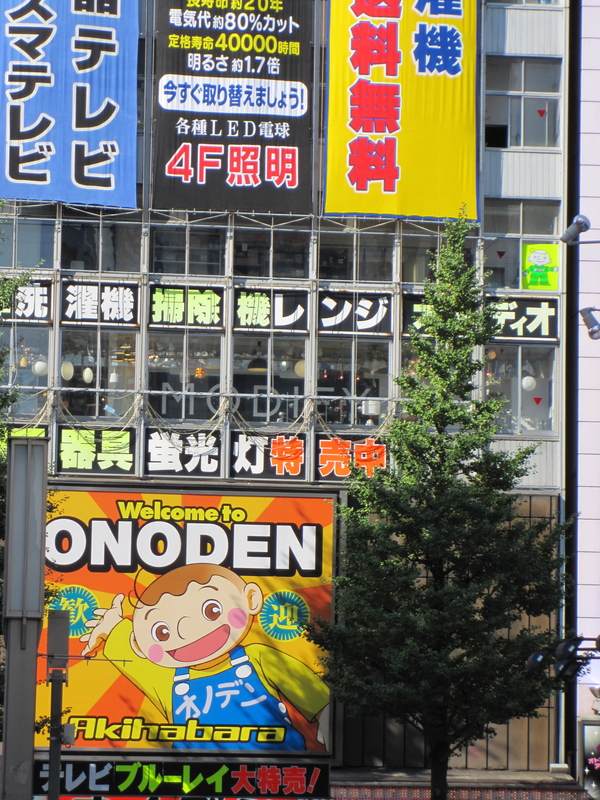 Tokyo loves cartoon characters. Everything has a mascot. The police have a smurflike character. The fire department has a firefighter with a big helmet and horns. The railway has a penguin (which you see everywhere). All the large companies have cute little characters as in cute never lets you down. 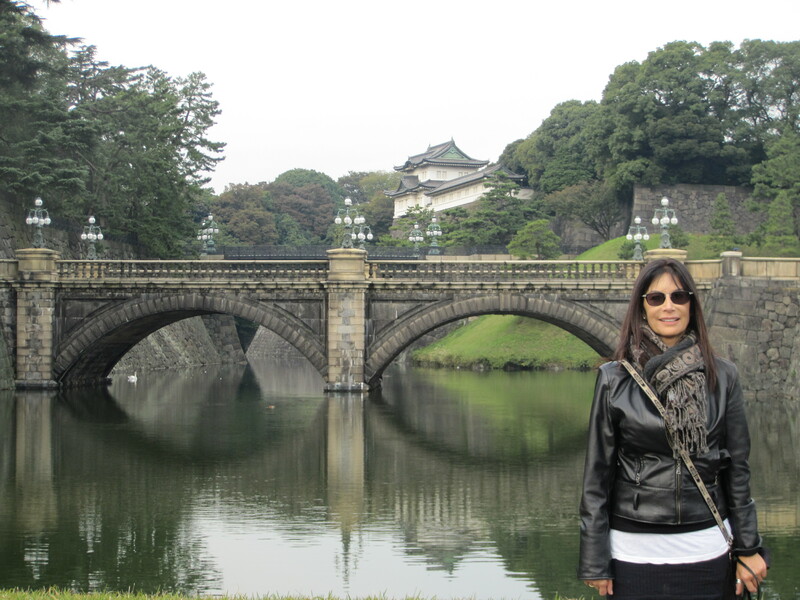 The Imperial Palace buildings and inner gardens are only open on Jan 2 ( for New years greetings) and Dec 23 for the emperor’s birthday. Ive never been in Japan on those days. In Tokyo, you stand on the left on an escalator. In Osaka you stand on the right. This is always a problem with my sense of direction. In Akihabara, in Tokyo ( the electronics area) there are many maid cafes. Women dressed as French maids are the waitresses and say things like master can I serve you? They stand on the streets and give out flyers. Modern geisha culture? 21-21 in Roppongi is designed by Tadao Ando. 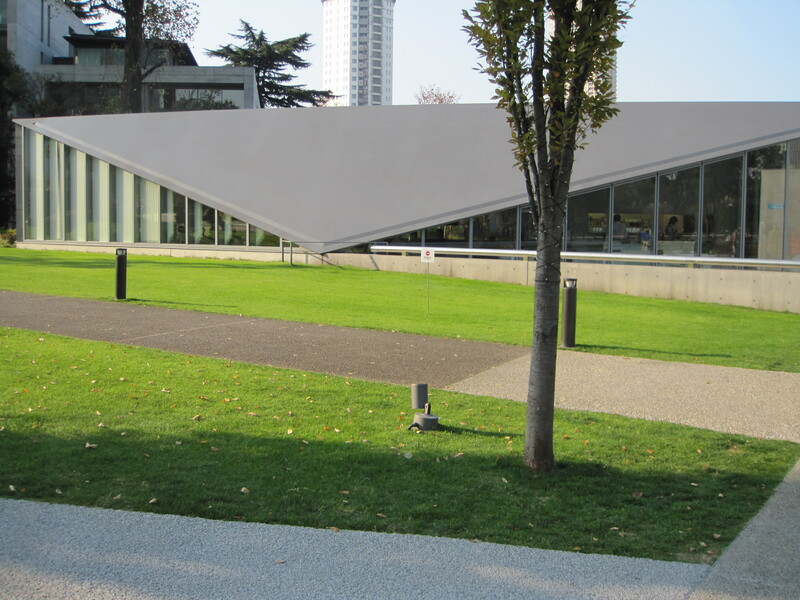 It is Japan’s first design museum. Helsinki has had one for years. 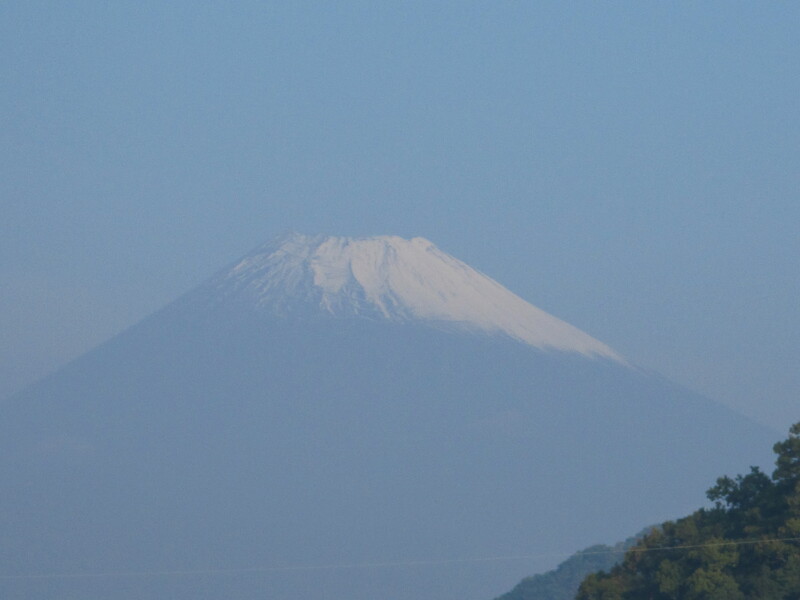 Seeing Mt Fuji from Tokyo may not seem like a much of an accomplishment but it is hardly every visible. 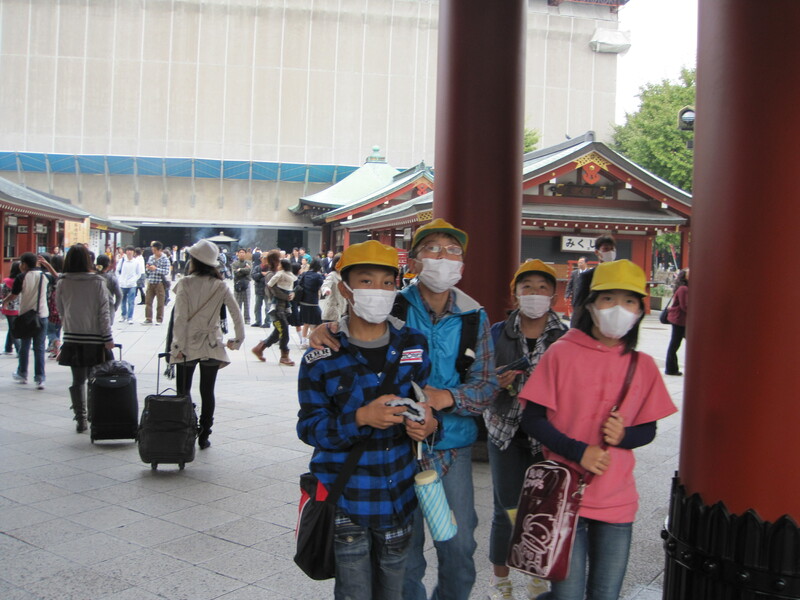 Some Japanese wear masks because they are sick, some wear them because they don’t want to get sick and some wear them for allergies. How do you know which one you are sitting on the train next to? Tokyo has a no talking on the phone policy on the trains. That doesn’t include texting, emailing or playing games but it does allow tired office workers and students to sleep. Nothing is so distasteful to the Japanese as feet bottoms (except when they are giving those painful foot massages). Sox are preferable to bare feet. There are toilet slippers and other slippers. Don’t walk out of the bathroom in the toilet slippers. 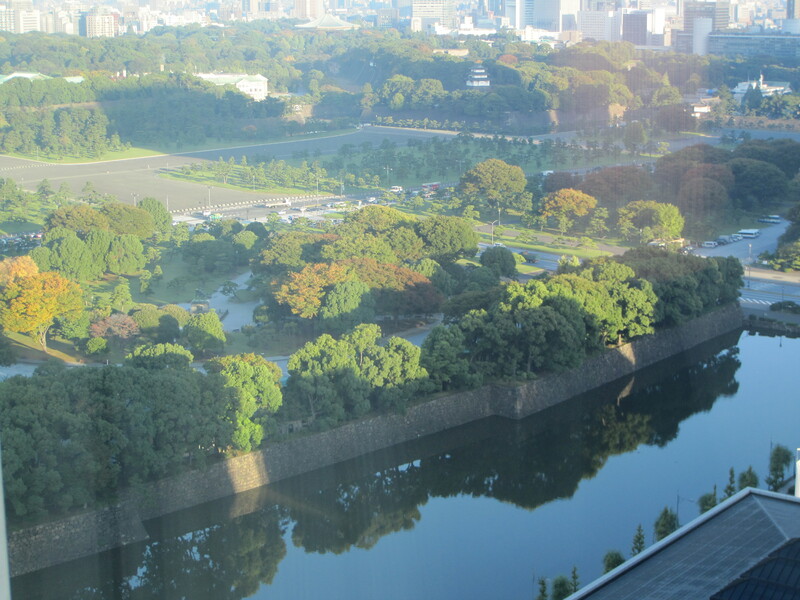 View is the most important thing to Japanese people when reserving a hotel. Tsukiji Fish Market in Tokyo is one of the largest fish markets in the world. It handles 2000 tons of seafood daily. It has become such a large tourist attraction and was not built for that so they limit the number of people now to 120 per day. No heels or sandals (I definitely broke that rule). No small children or pets. No large bags or suitcases. Don’t touch anything. 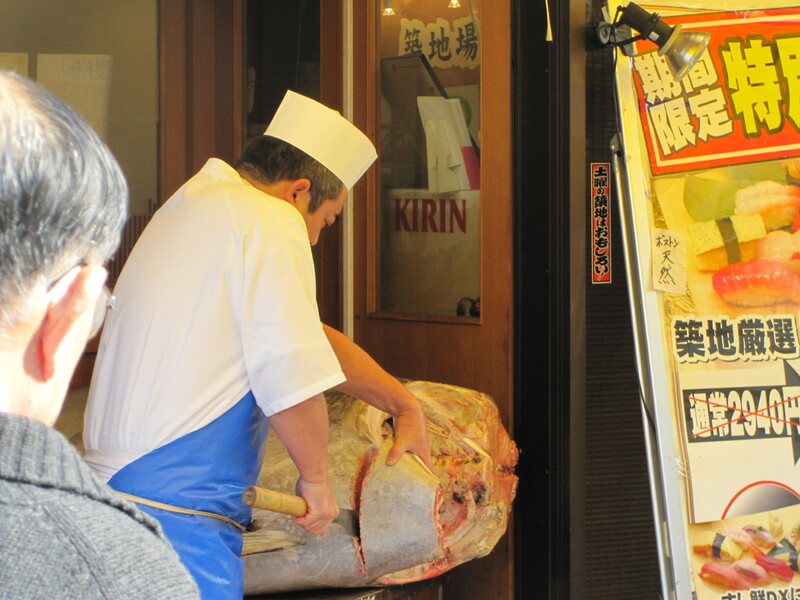 You must apply to see the tuna auction at Osakana Fukyu Center (Fish Information Center) at the Kachidoki Gate, starting from 5:00am on a first-come, first-serve basis. 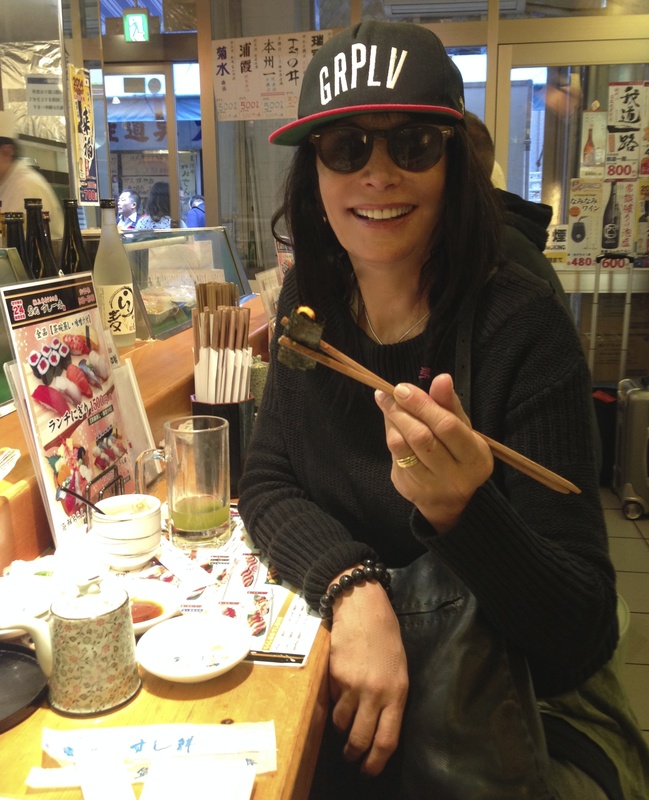 It is good to have fresh sushi for breakfast after the auction. The restaurants are open from 5am to12PM. I recommend eating at Ryu. Sumo wrestling goes on for six hours. Luckily they only televise one hour and with the close-ups that is enough. 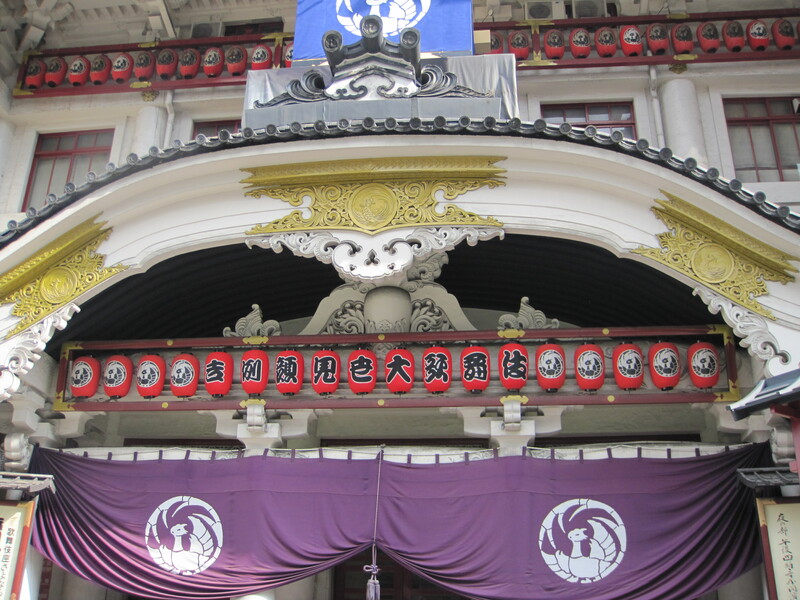 The current Kabuki-Za Theatre is closed until Oct 2013. ( and when they give a completion date in Japan, it is usually correct, unlike here where they just rely on destiny). Kabuki combines different art forms such as dance theatre, music, costume design and set design. There is a theatrical form of mime that has become associated with Kabuki Theatre. 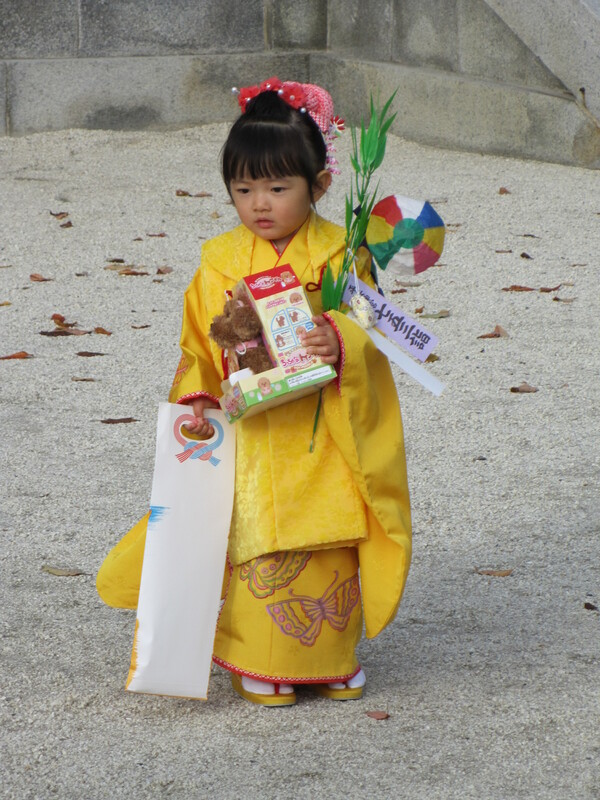 It is all blended together with the stories that have entertained the Japanese for over four hundred years. Kabuki is repertory theatre. The same plays are regularly performed. There is no director and very little rehearsal time. The actors have rehearsed these roles since they were very young and should know them by the time they are performers. Make sure you get the English earphones so you can follow the story. The performances are usually about five or six hours long. Sometimes you can purchase tickets for shorter time on the day of the performance. I did two hours and loved every minute of it and didn’t think I would – definitely try it. The customer is God. As in “May I have the honor to serve you?’ Your happiness makes us smile. Giving candy after a purchase, wrapping each individual item and carrying your package to the door is business as usual. 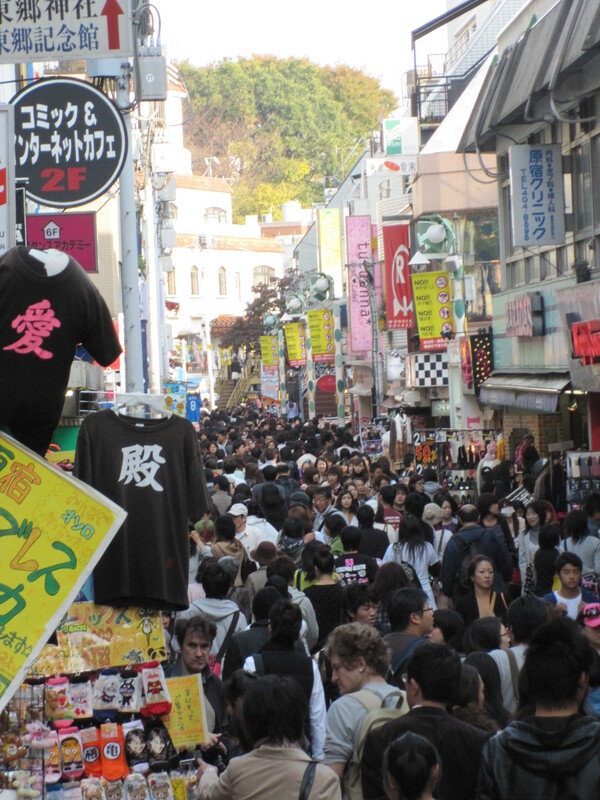 Harajuku in Shibuya has become known as the place for the most extreme teenage street fashion. Harajuku girls are girls dressed in many different styles of fashion in Harajuku. There is punk style, ganguro – bleached hair, fake lashes and fake nails and tan (California girl rebellion against Japanese culture), cosplay – costume based from manga to bands, skaters and goth. 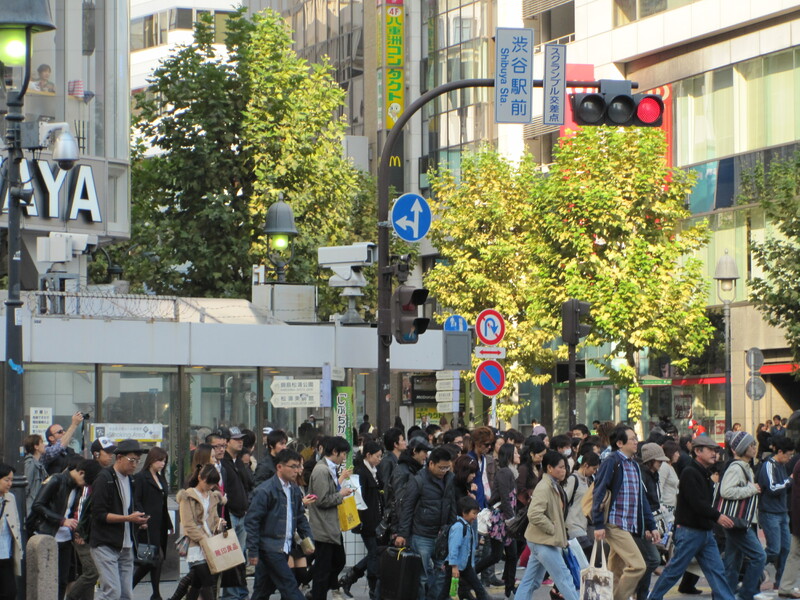 Takeshita dori is the main street and is ridiculously crowded on the weekends. 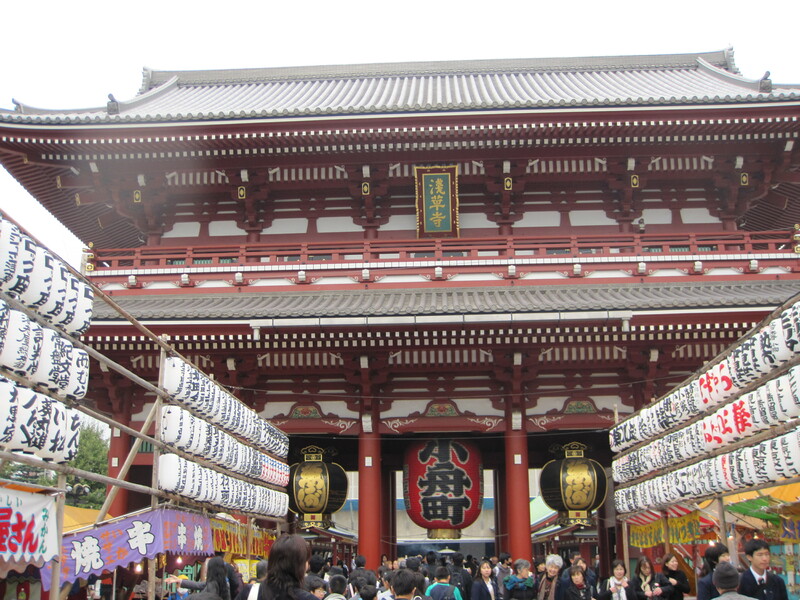 The Sensoji Temple (the oldest temple in Tokyo) is Iocated in Asakusa. It is nice to get out of modern Tokyo and feel some of the old Japanese culture. Tokyo is officially the most expensive city in the world. The Tokyo skytree is the world’s tallest tower. It is 634 meters and double in size of the Eiffel Tour. 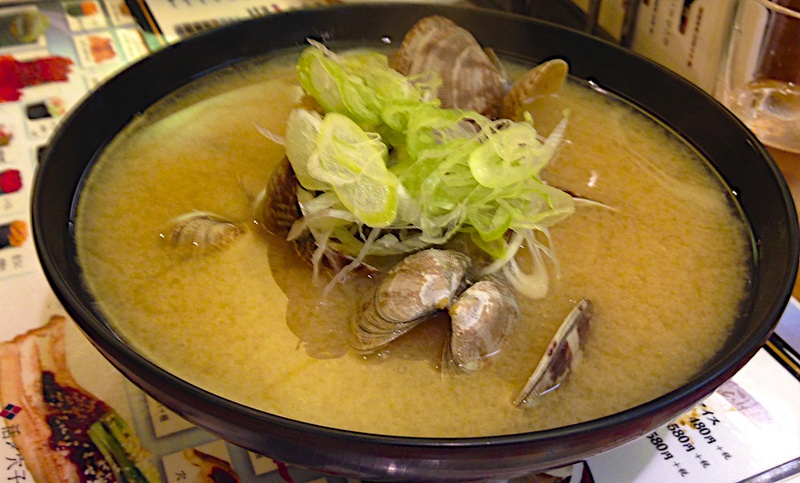 It has many shops and restaurants and yet another aquarium in Japan. Do not even think about drinking and driving in Japan. The legal limit is less than one drink. The fine is huge and you could be thrown in jail. Do not even think about getting in a car as a passenger with someone who has had a drink. You also will pay a huge fine. There are always many taxis in the bar areas.